I've had the pleasure of working with many clients over the past 10 years and proud of the positive feedback they've provided. Here's a sampling. There are so many great things to say about working with Barbra Bright, I don't know where to start. Barbra took a fairly difficult design challenge and turned it into my favorite room in the house. The issue at hand was a space challenge. We had 3 full bathrooms, but no bathtub - and no seemingly real space to put one. Barbra was recommended to me by my contractor initially to consult with me on the space design, but ultimately helped design the entire bathroom. Barbra helped immensely by identifying the best location for the tub and subsequent configuration to maximize the space. With her help she transformed our small guest powder room into a functional space that accommodated bathing kids as well as kept a level of sophistication for guests when visiting. Interestingly, the bathroom seems larger than when we started, because we just have a much better layout. Not only was she a great space designer, but she helped pick out all of the details of the bathroom and I absolutely LOVE the room. I took almost every bit of advice she gave - and I regret not taking the few small bits of advice I didn't take! Not only am I super happy with the outcome of this project, but I was also very happy with the fee structure of her services, having worked with other designers before - I feel like I got so much more from Barbra than from others. And finally, Barbra had an excellent working relationship with our general contractor (which is a must), and I enjoyed every bit of the process and working with her. She was delightful. I'm looking forward to the next project we do together! I have found my designer. Barbra provided the design for the remodel of my kitchen and master bathroom. We also redid the fireplace in the living room. Barbra did a fantastic job, and I could not be more happy with how everything has turned out. 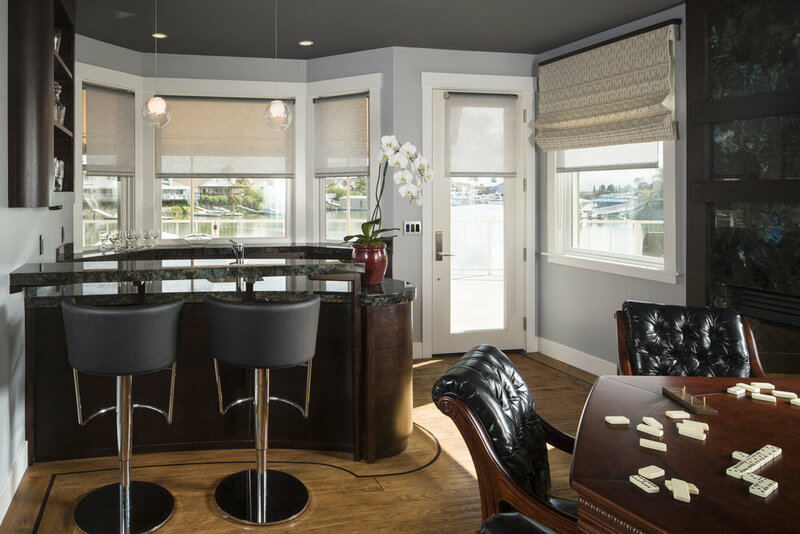 I had a vision of what I wanted to accomplish, and she was instrumental in helping me understand the best way to accomplish the remodel of these spaces. As a result I was able to make better decisions, and the functionality and appearance of these spaces are very impressive. I am very happy with my new kitchen and bathroom! She also has an excellent list of contractors, and the one we selected did a quality job. I would highly recommend her if you were looking for someone to design a remodel in your house. I met Barbra through a referral from a friend whose kitchen I fell in love with. I quickly realized after our first meeting that she could do so much to actualize a both beautiful and functional space for me. She very quickly provided feedback and new solutions where we seemed to hit a wall-ie strange wall alignment cutting into pantry space, dealing with a hood, creating an integrated space for both a litter box and compost pail. She has beautiful taste which she adjusts to meet her client's style and she is able to quickly sift through design options to find something that works. Her attention to detail is reflected in the small but important features such as handles and paint colors. She is a pleasure to work with and delivers on her promise of on time on budget and gorgeous. We initially hired Barbra to help with a complete kitchen remodel. That required totally removing every part of the original kitchen and starting from scratch. We were so thrilled with the results that we worked with Barbra to remodel the entire first floor of our house and much of the upstairs. Barbra asked questions, learned our tastes and offered suggestions. She is very upbeat and easy to work with. She accompanied me while shopping for granite, tiles, window coverings, carpeting and even furniture. Through her knowledge of all aspects of the project and our preferences, she steered me to places that had just what I was looking for. I found her advice to be invaluable. She recommended excellent contractors that we enjoyed working with. We were lucky to have found her. Barbra Bright consulted us on our kitchen remodel. Her expertise was essential to our project. Barbra set us up with the contractor, cabinet maker, electrician, counter and tile people. I was able to give Barbra my vision and she translated it into a reality. She helped me select all of my finishes and the project was completed in a timely fashion. The result is a beautiful kitchen which my whole family loves! There was no question that Barbra didn't know the answer to. She is an expert. She has awesome taste, but also puts a strong emphasis on function. I felt like this was a true collaboration. I know what I like but I'm easily overwhelmed when presented with too many options. Barbra listened to me, looked at the photos I picked out on Houzz of kitchens and materials I liked and presented me with just the right number of options. I came to trust Barbra, so that in some cases I asked her to choose for me, and I am glad I did. My favorite parts of the kitchen are the parts where I allowed her free reign. The wide, deep sink with the rack on the bottom is a great example. I silently thank Barbra every time I use it. Barbra is also very pleasant to work with and she has integrity. I intend to hire Barbra to remodel my bathrooms if I ever get around to them. 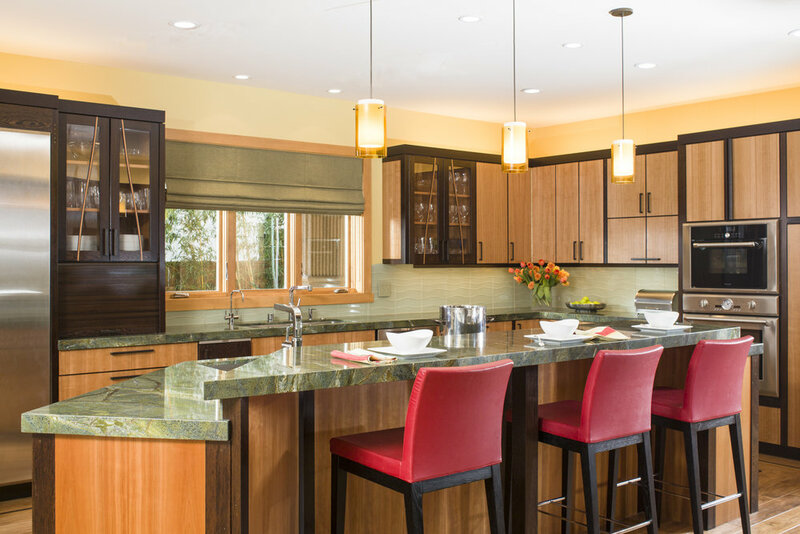 I am a general contractor, and it is important that the kitchen designer I am collaborating with understands the construction process at all levels, and Barbra is one of those designers. She is exceptional at integrating her design aspects into the construction process, and making critical decisions to keep the project going. In addition to being a sharp and strategic designer, she is an absolute pleasure to work with and has a fantastic sense of humor. I highly recommend her as an excellent choice from a general contractor’s perspective.